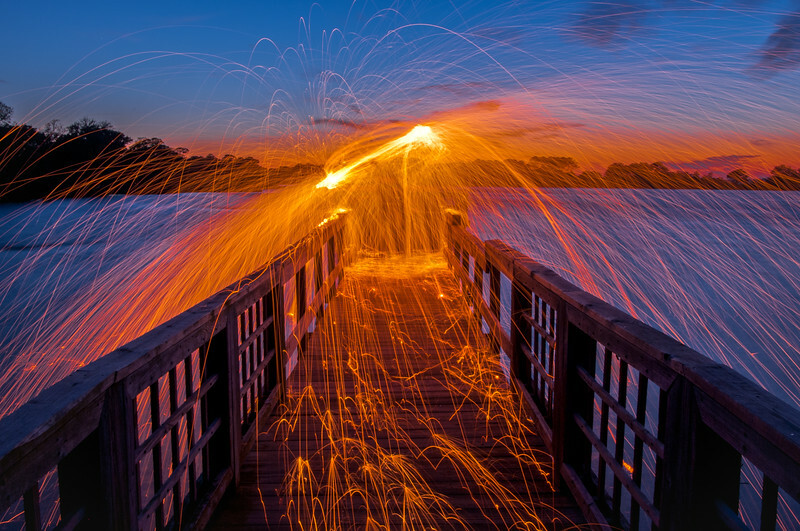 I love shooting images of burning steel wool. Each and every image is unique. The process is a bit dangerous and safety should be used when lighting and spinning the steel wool. I use a metal cooking whisk loaded with #0000 steel wool tied to a wire and then light it with a match or a 9-volt battery. Then the fun begins. As you spin the whisk around it creates sparks and great color. If you decide to use this technique be careful and play at your own risk. And of course have fun!